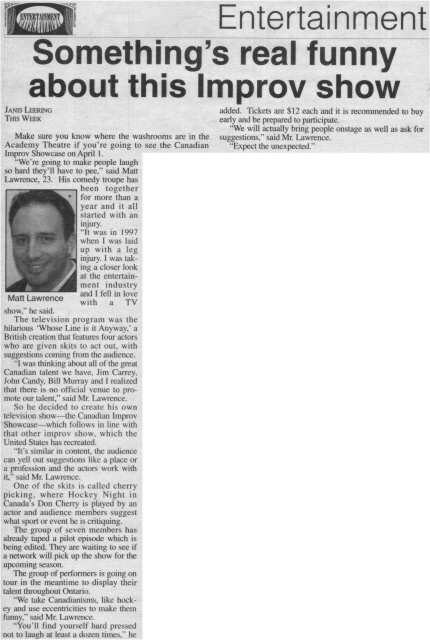 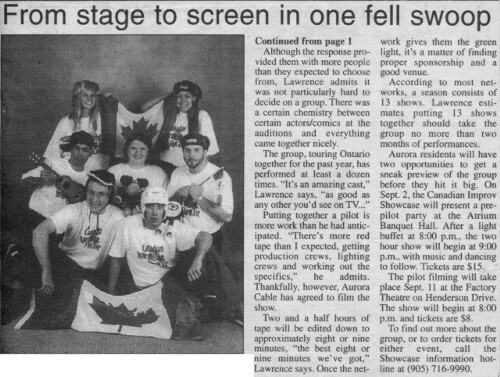 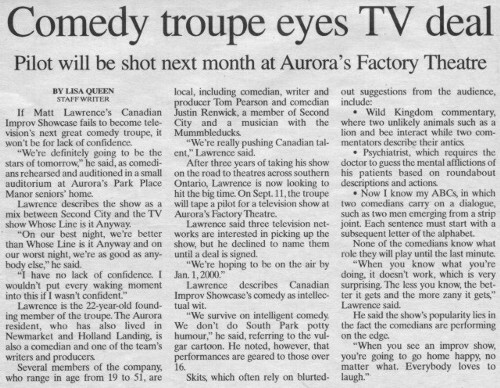 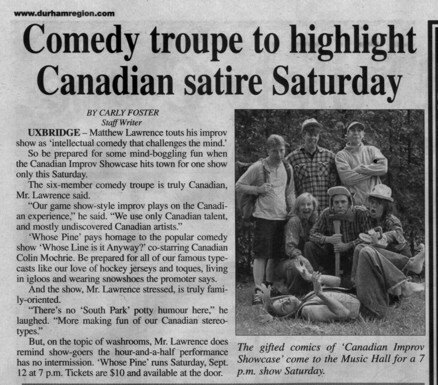 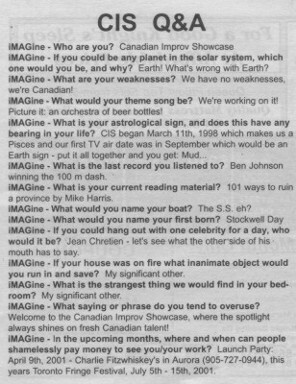 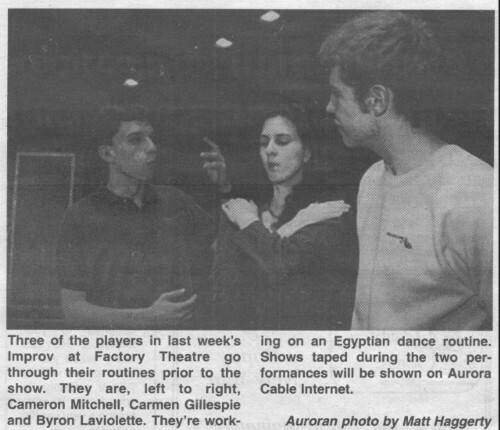 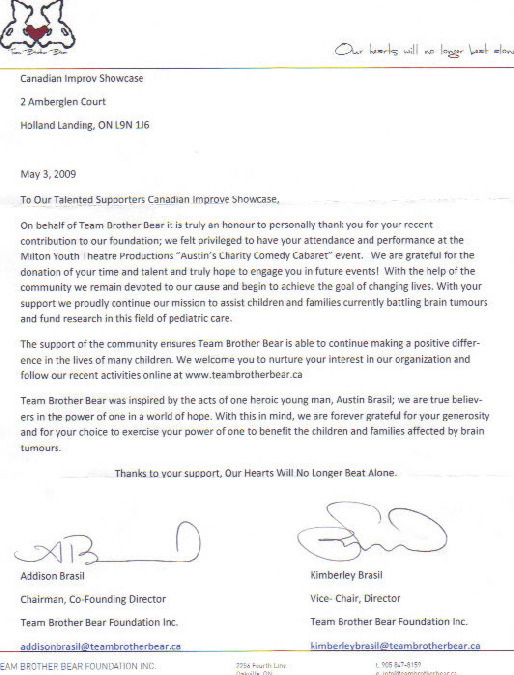 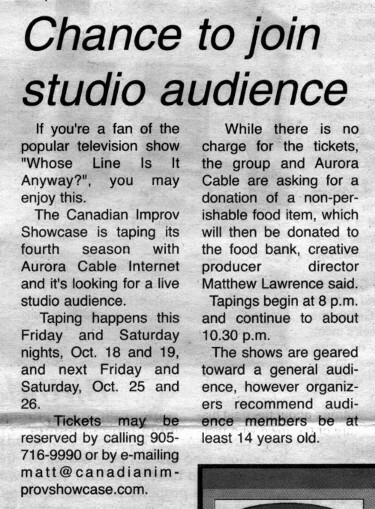 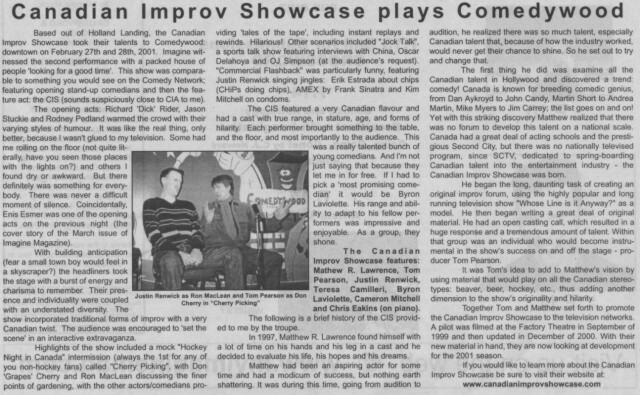 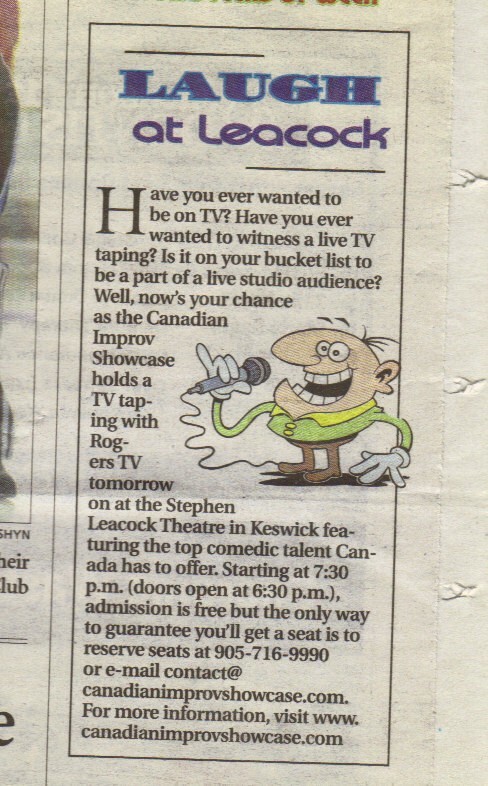 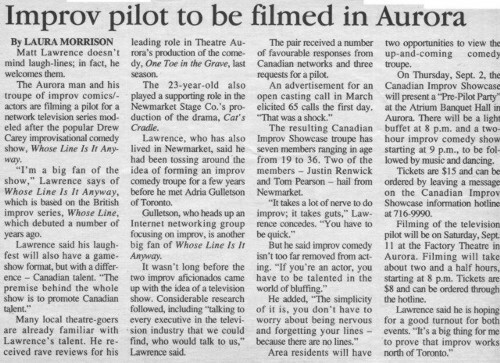 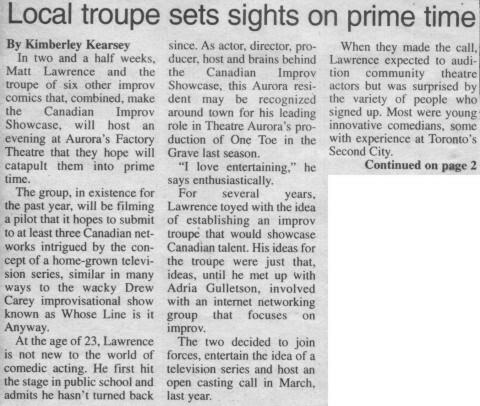 Here are some news articles, interviews and press releases about the Canadian Improv Showcase. 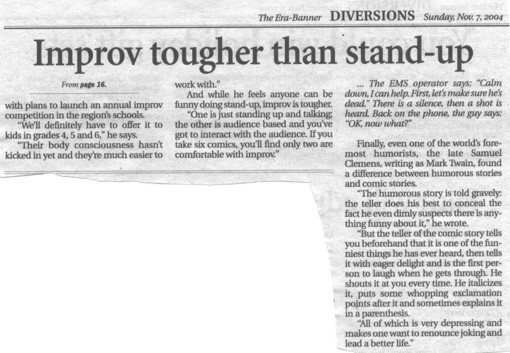 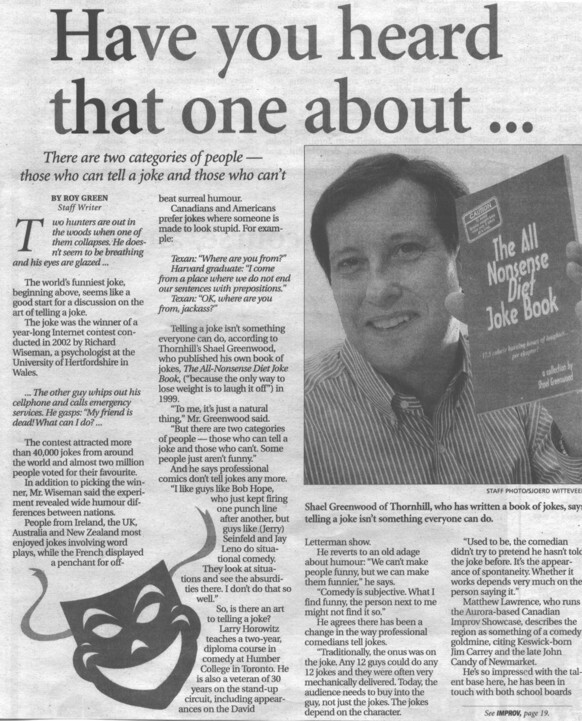 Click on the link to review the news piece. 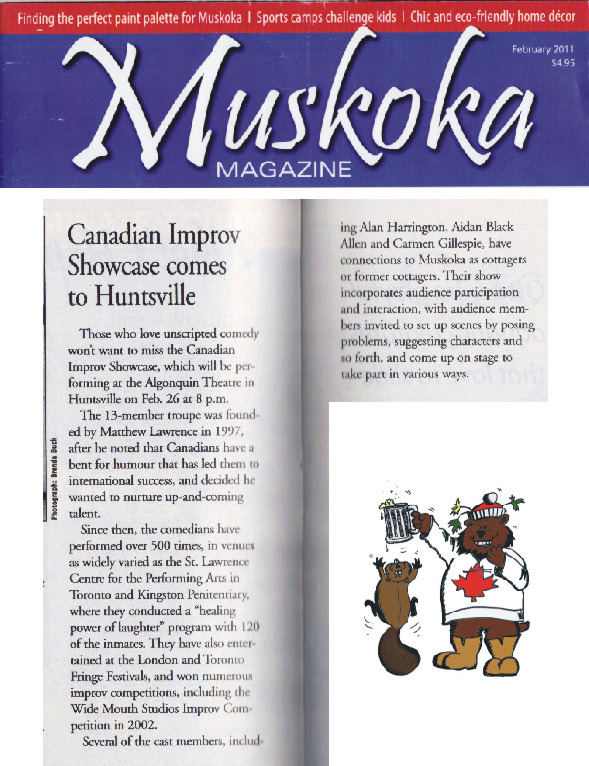 The Canadian Improv Showcase celebrates 20 years of performing!!! 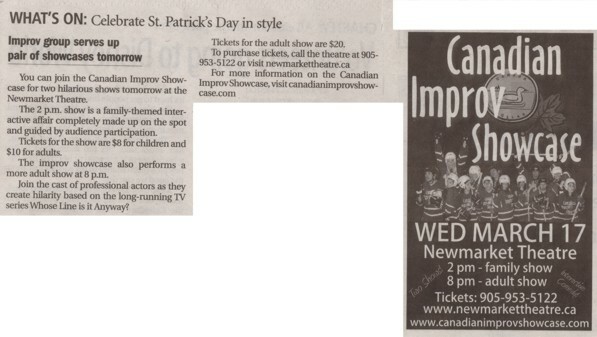 A Hilarious St. Patty's Day! 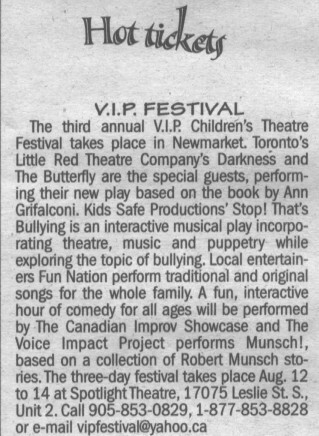 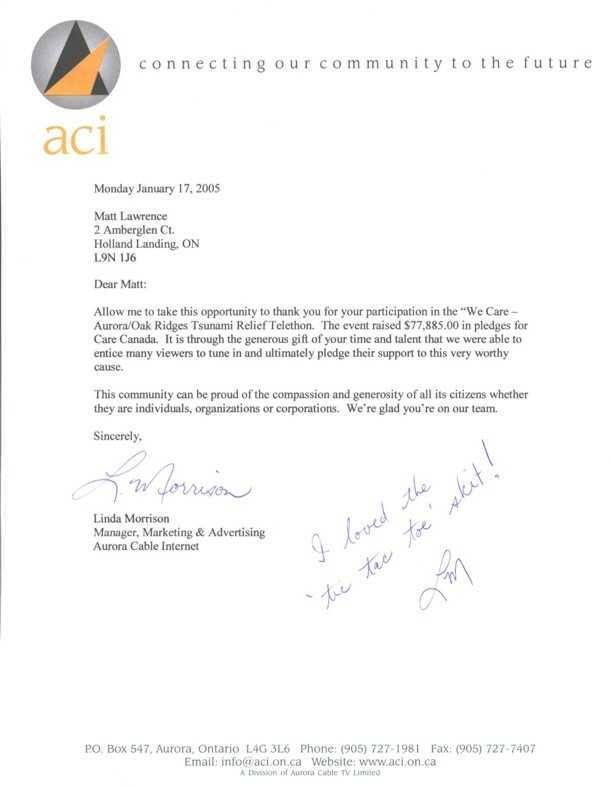 CiS Comes to back to T.O. 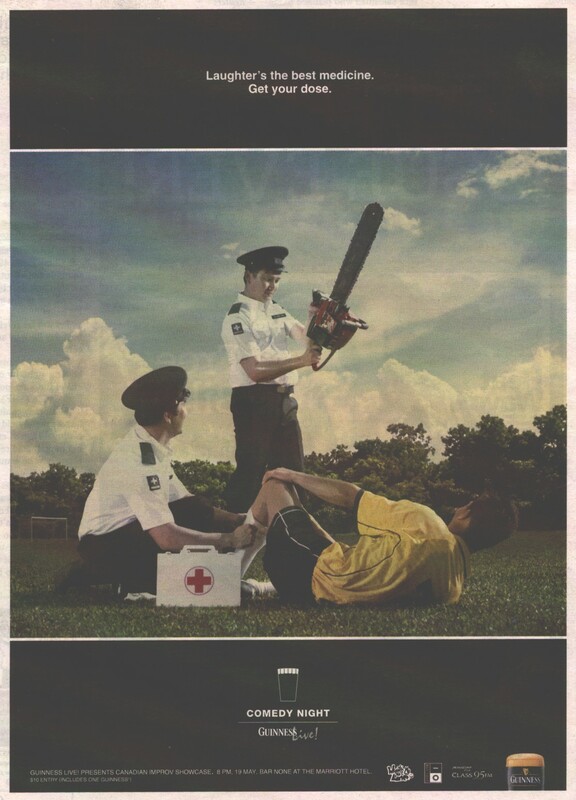 "Whose Pine Is It Anyway?"